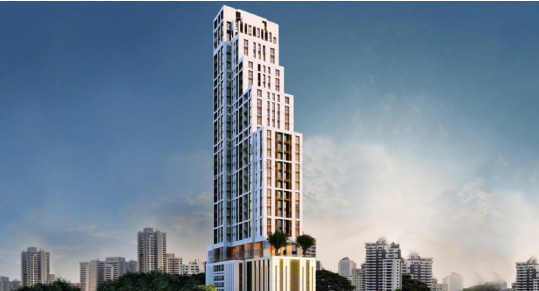 BINOVA KITCHENS IN 39 BY SANSIRI :a Brand-new condominium complex with a bold new attitude, is set to become the famous Starchitecture of the area of Sukhumvit, overlooking Bangkok’s stunning skyline. Binova is involved in this project supplying 174 kitchens of the complex. The Ridge BR5 is an exciting new development in St Mary Cray, near Orpington and Bromley, which has just launched for private sales. It is a gated development on a hillside, overlooking the southeast London skyline with a wooded area forming the backdrop. The project comprises 93 units including 81 apartments and duplexes, two & three-bedroom apartments and duplexes, and 10 three-bedroom houses which surround three communal courtyards – perfect places to socialize with neighbors as well as provide a lovely green outlook. All the homes will have open plan living areas, leading out to private outside space. Houses will boast a balcony to master bedrooms as well as a front and rear garden, while apartments have a patio garden, balcony or terrace. The properties also boast an array of green features, such as photovoltaic roof panels, high-level insulation, energy efficient appliances and water butts. The development is a significant contribution to the regeneration of the area, eplacing two 15-storey towers demolished in 2012. In modern, warm colors, rooms are decorated by theme: nature, mountain, winter sport and vintage. In some rooms themselves, we find the workshop mind with brick walls in shades of orange and white vintage. In others it is the facing stone that gives the illusion of a natural wall and provides aesthetic and sobriety. The floors are carpeted bringing warmth and elegance to the room. The various items such as wardrobes, night tables or panels are laminated called “laminated mass” which gives them a look and a contemporary look. Colored stoneware tiles of the bathroom bring refinement and give different aspects such as wood and natural stone. A rain shower graces the sky and provides an unsurpassed feeling. The hotel le TREMPLIN includes 40 rooms and classic & superior double, deluxe and sweets, in addition to 5 restaurants and health club.